eBay doesn’t wait for those big annual sales to offer cheap bargains on tech. 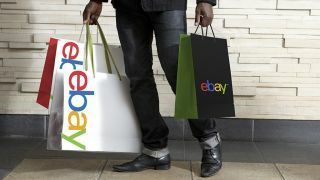 In fact, it’s easy to find a great deal on the online auction site every so often, thanks to eBay Australia’s regular 20% off sales. You can find bargains on a variety of products, ranging from fashion to alcohol, power tools to toys. It’s a great incentive for shoppers to keep coming back to the site to find what they’re looking for and snag some savings while they’re at it. This time, however, the sale is on tech and it’s rather limited, with only a handful of sellers on board. Yet, there are some excellent bargains to be had and we jump hook, line and sinker into it to fish out the best deals. Just be sure to use the checkout code PHASER so you don’t miss out on the savings. The sale ends August 20. Looking for more bargains? We dig through Amazon Australia as well to get you best deals each week.